We all know how irresistible dogs are. They’re lovely, adorable, and fun to be with. However, they’re more than just that, as they’re also bred to be man’s best friend. Along with their strength and friendship many breeds are known for their speed. Some dog breeds are able to run faster than others, while some also love to take on a more sedentary life. In the case of the former, they are an athletic dog lover’s best companion, as they are able to do a lot of activities with them. If you’re into dogs, and you’d love to have a daily dose of our canine friends, then we suggest you read on! 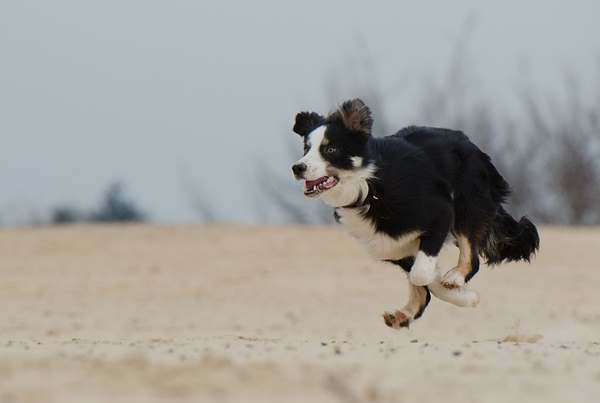 In order of speed, here are 11 of the fastest dog breeds. Notice, there is only one small dog that made the list. Who is the fastest human? The fastest person in the world is Usain Bolt who reached a speed of 23.35 mph during 1 100 meter sprint in Berlin on August 16, 2009.
Who would forget the Greyhounds, considered as the fastest dogs in the world. 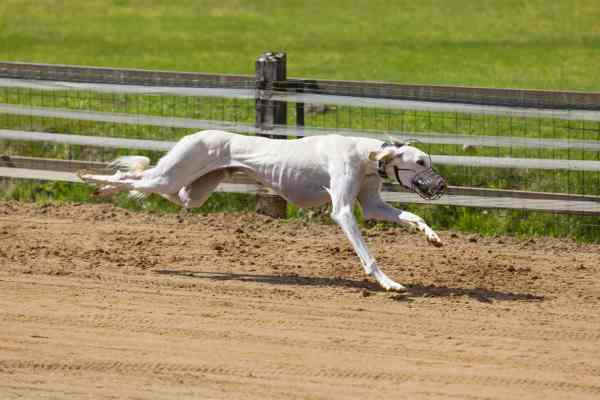 Reaching speeds of up to 43 mph, there’s no doubt these canines are bred for speed. This is the main reason why these dogs are used as racers in the sport called greyhound racing. An old sport, it is taken very seriously, with bookies and bettors betting odds on the capabilities and winning chances of the runners. Places bets either in person or on sites such as greyhoundbetting.co.uk on prospective winners. Not only does their sleek body build make them agile, but the way their muscles and bones are structured enables them to swiftly make adjustments to their movements, making them great runners. But don’t take their speed as a sign of aggressiveness, because these can serve as great house pets too. They make great pets because of their gentle nature and functional build. Socializing with humans and other dogs is what they want, so make sure to spend time with them. Belgian Malinois is considered to be a herding dog, but is also a favorite of the police and military for their courage, protective tendencies and speed. 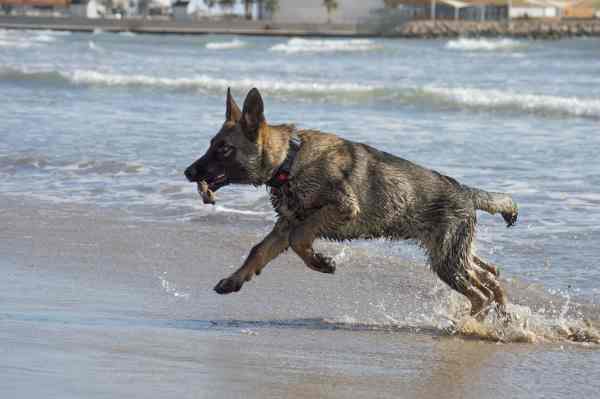 In most parts of the world, the Malinois is a working dog that excels in many canine sports such as a Schutzhund, agility, flyball, herding, obedience and tracking. They are used as personal protection dogs and in policy work is for search and rescue. Who can resist the Saluki, who’s also known as the Royal Dog of Egypt. Having been traditionally a part of Arabian caravans of the Middle Eastern tribes, Salukis mastered the art of endurance. Hunting down gazelles for their masters is easy for these dogs as they can run up to 32 mph. But take note that these dogs love to be alone because of their natural hunting qualities. They’re not too keen to share their space, especially if they’re not in the mood. However, if you socialize with them from an early stage in their development, they can be extremely welcoming. Though they’re not the fastest dog breed, they sure have remarkable stamina. 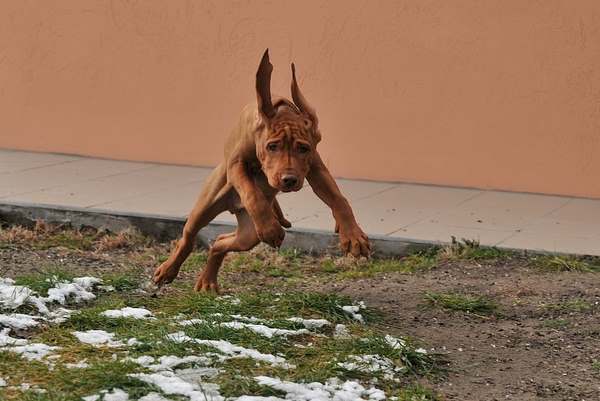 Often mistaken for the Rhodesian Ridgeback or even a Coonhound, the Vizsla has a body meant to run. 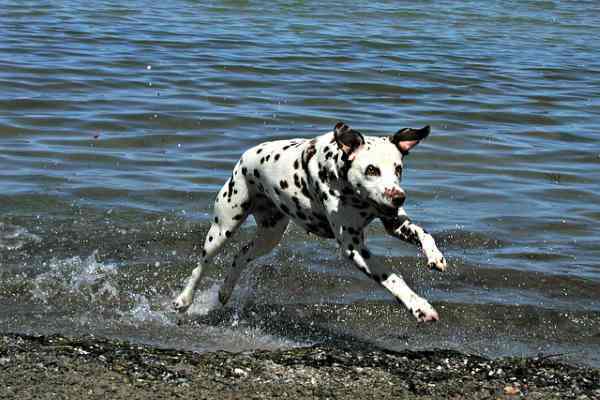 More of a sprinter than a long distance runner, this is one quick dog, both on land and in the water. If you find dogs with unique features cute, then the Afghan Hound is maybe one of the most unique looking dogs out there, with its fine, long thick and silky coat and its curling tail. 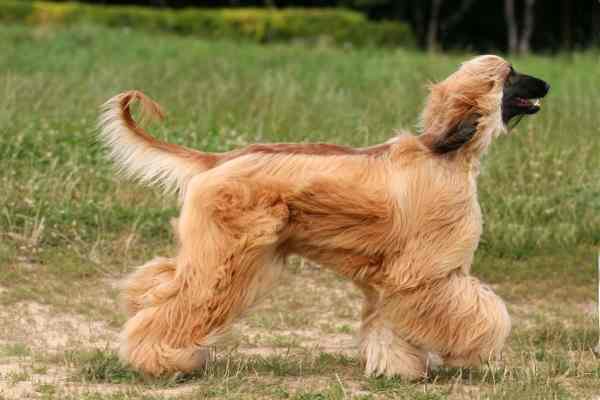 They also have long bodies and are one of the oldest dog breeds in the world, dating back thousands of years. 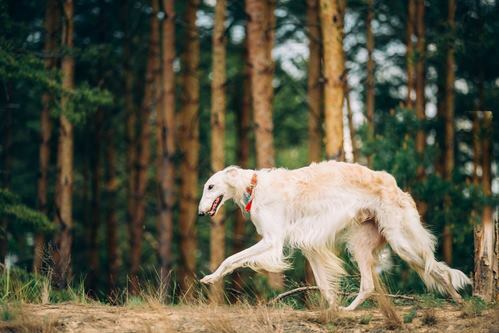 Their elegance, and long body do not make them slow or clumsy, on the contrary, they are able to run up to 40 mph despite their extremely long hair. As a matter of fact, they are used in lure coursing and hunting many times. a lovely fuzzy smile, of course. 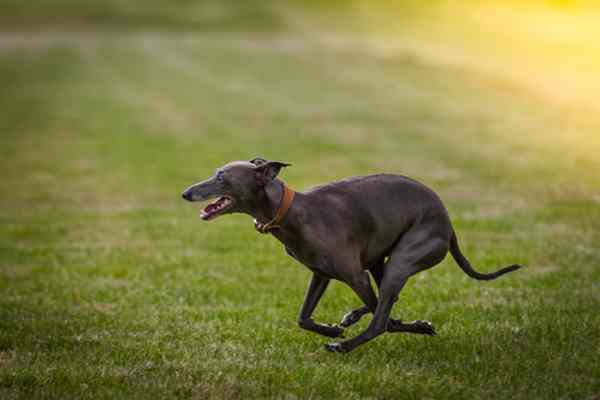 Whippets are descended from the original greyhounds, but they’re too small for deer hunting. Because of this, breeders continued to modify their size, enough for them to comfortably hunt rabbits and hares. Thanks to their agility and speed, they’ve earned the nickname snap dogs. What makes them differently fast is their unique way of running. Named the double suspension gallop, this is when the hind legs first propel the dog into the air followed by the front legs. This enables them to reach high speeds, with some even reaching 40 mph. But take note, these dogs want to play a lot, so it’s recommended that you give them at least 30 minutes of exercise daily. 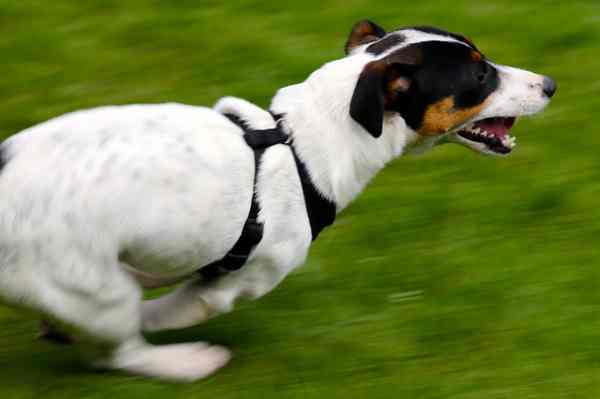 Jack Russells are one of the fastest dog breeds, reaching up to 27 mph. They were originally used by settlers as hunters to help them build small towns in the American West. Hunting hares and squirrels are their specialties, thanks to their superb agility and speed. Their fine coats and sleek builds are what makes them even more adorable. Alongside their aggressiveness, they are intelligent and easy to train. They love to be taken care of and given treats by their master. First recognized in Croatia, these medium-sized uniquely colored dogs are fast, but are prized for their stamina and endurance. Dalmatians are best known, historically for their work with firefighters. They were used for this role because they are very compatible with horses. They were trained to run ahead of the horse-drawn carriage to help both clear a path and guide the horses to the fire. In the U.S., these dogs are still used a firehouse mascots and serve as teaching aids in public schools. After the release of the Disney movie, 101 Dalmatians in 1961, the breed suffered as a result of irresponsible breeders mass producing these dogs and placing them in the homes of people who were not prepared to care for them. Today, the breed has lost much of its popularity. 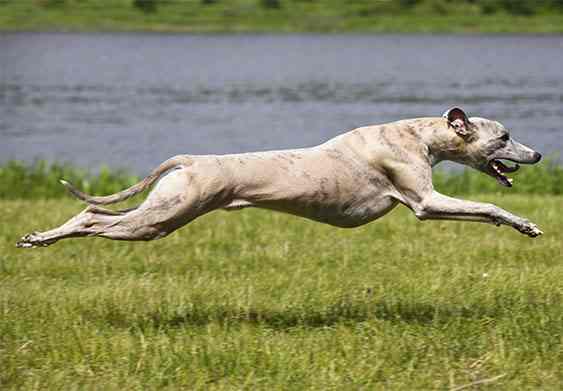 This large Russian sighthound can run at speeds up to 36 mph. This large hound can hunt and chase wolves, rabbits, and birds. Their running ability can be measured in speed, but endurance is not their thing. Often called the Russian Wolfhound, this breed was reduced in numbers during the Russian Revolution. Borzoi have a very laid back temperament and even though they are fast runners, they are satisfied with a quick sprint and then a quiet nap on the comforts of their favorite soft sofa. 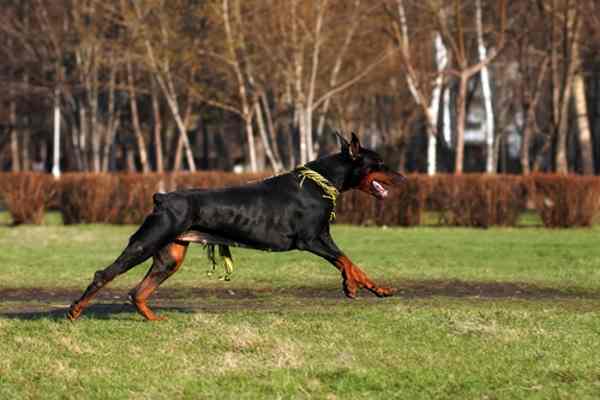 Another of the guardian breeds on this list is the Doberman Pinscher, which can run at an impressive 32 mph. They are one of the fastest dog breeds which are especially impressive considering that they were not intended initially for hunting. They have a lot of stamina, and have a strong build, which allows them to be one of the most versatile breeds out there, allowing them to work on a wide array of environments and conditions. Their 32-mph speed makes them good candidates for tracking and makes them great guard dogs as well. Their body is tall, and they have a slick and shiny coat. A sporting breed dog to make it on the list is the Border Collie and is a breed that’s designed for herding sheep and cattle, a task they are still being bred for today. Apart from their speed and cuteness, their agility makes them the perfect playmates and companions, especially for those who love to play games with their pets. They are one of the most well-loved dog breeds that are still widely known and wanted today. The Border Collie is known as a workaholic and a smart, and extremely energetic breed, but at the end of the day, you can expect them to settle down for a cuddle. They are between 18 to 22 inches tall, and there is a wide array of patterns and colors that they come in. Their eyes are also one of the features that make them stand out, hence the term “herding eye”. They also are one of the most trainable, and most obedient breeds, and herding is one of the things that makes them happy, making them the perfect dogs for the task. Final Verdict on Fastest and Cutest Dogs for Racing? Though dogs can’t catch a cheetah running at its spectacular 65mph, there’s no doubt that they can leave a human runner gasping for air far behind. If you are interested in making a lifelong friend who will challenge you to become more active and who will be more loyal to you than any human, you should consider adopting one of these dogs. In general, dogs make remarkable house pets, but they can also serve you well if you need speed or ever are in harm’s way. After all, they’re called man’s best friend for a very good reason.